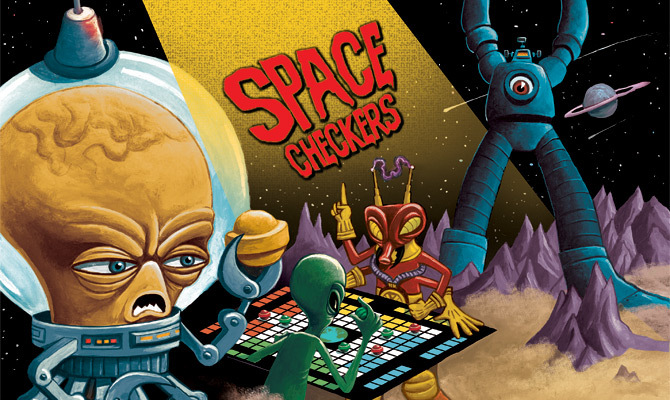 Space Checkers combines the luck of dice with the strategy of checkers. Nab other player’s saucers while keeping your fleet safe from the enemies! 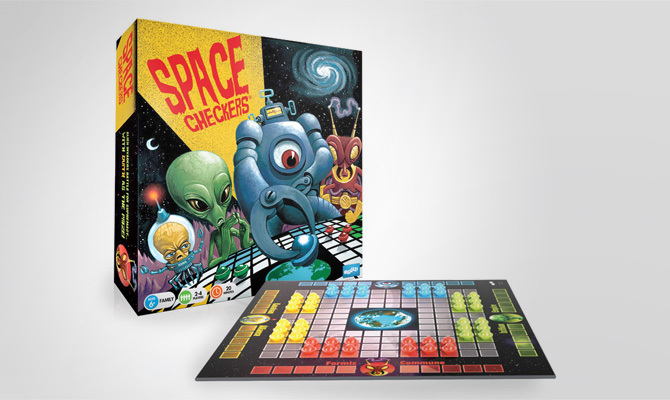 Try to capture 10 enemy saucers before anyone else to win the game!